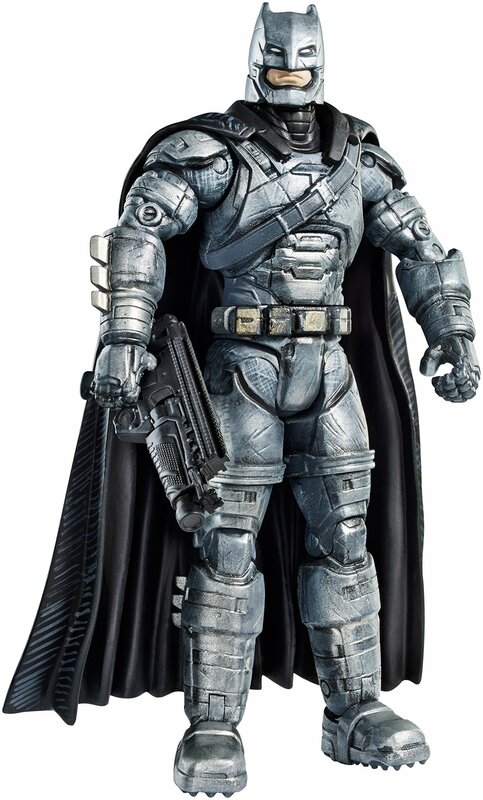 Celebrate the new BATMAN v. SUPERMAN: DAWN OF JUSTICE movie and The GreatestSuperhero Battle of All Time with this 6" figure of a key character featuring20 points of articulation. Collect them all and connect the included piece tobuild a themed replica weapon with a display base. Each sold separately,subject to availability. Qun Feng Newest Educational Toys Game Electronic Building Blocks Sets Enlight..
Hengda Kite Professional Color Kite Ballbearing Reel Line Winder Grip Wheel +..
Abo Gear 50 6-Sided Dice - 10 X 5 Different Colors - 16Mm - For Board Games A..
Maisto R/C 27Mhz (3-Channel) Rock Crawler Radio Control Vehicle (Colors May V..
Autentica Loteria Mexican Bingo Set 20 Tablets Colorful And Educational! Flipazoo The 16 Pillow With 2 Sides Of Fun For Everyone Each Huggable Flipaz..
Mayco Bell Red Octopus Portable Kite Nylon & Polyester Material - Perfect Toy..
Toysopoly Blue Princess Castle Playhouse With My Little Pony And Glow In The ..